Who needs old-fashioned full sized utensils? 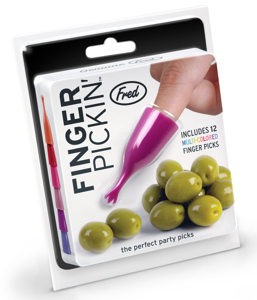 Just slip on one of these finger picks and youre ready to hit the hors doeuvres. Even with a plate in one hand and glass in the other, youre good to go. Just remember: when the partys on, its better to be a multi-tasker than a juggler!